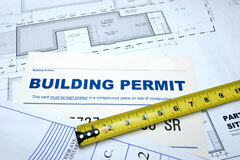 Building Permits - When Is A Building Permit Required? While you are still in the thinking stage for your home remodeling or addition project, you need to check with your local City Hall to see if you need building permits. Permit requirements vary from city to city. Each city uses permits to regulate construction in order to ensure that all construction in the city is safe and meets building codes. Building permits and codes have a long history, dating back to Hammurabi's Code around 1780 BC. There are usually several types of permits: structural, plumbing, mechanical, electrical, etc. A construction permit is needed for all new construction. In many cases, a permit is also needed to repair or replace existing fixtures, such as replacing windows. A plumbing, electrical, or mechanical permit may be needed for any addition or changes to a building's existing system: for example, moving or adding an electrical outlet may require a permit. Permits are usually not needed for items such as wallpapering and painting or building fences six feet high or lower. Part of the permitting process includes inspections. It is your responsibility to call the city for inspections at specific times during construction. Inspections are typically made during certain points in the project, depending on the work that is being performed. For example, retaining walls require inspections of the footing, after the block is laid and steel placed but before grouting, after backfill has been placed, and when all work is finished. The project is not complete until it has passed the final inspection. If you are working with a contractor, he or she should take care of getting the permit and handling the inspections. 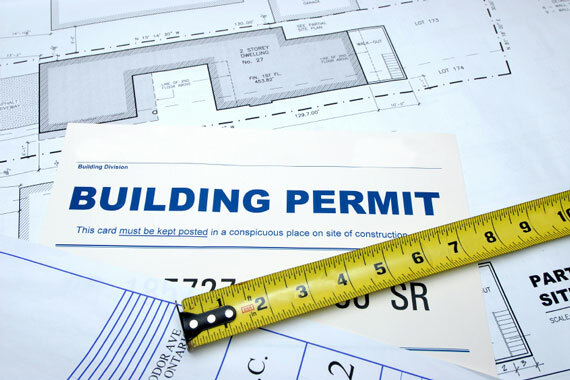 If your contractor says you do not need a permit, get a second opinion! As the homeowner, you are ultimately responsible. If you are a do-it-yourselfer and are not sure if you need a permit, always check before you begin work. If you need a permit and do not get one, you could be forced to tear down the work and start over again. Even if you do not have to tear down work, you will still be subject to fines and penalties. For information about building codes in all 50 states of the USA, visit Reed Construction Data's Building Code Reference Library.